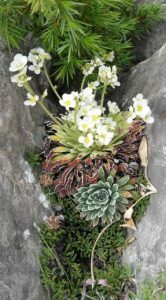 The University of Barcelona has recently published a short report about our publication in Plant Physiology: Adaptation of the Long-Lived Monocarpic Perennial Saxifraga longifolia to High Altitude. This report highlights how the climate change could be threatening high-mountain plant species such as Saxifraga longifolia. It also talks about the importance to understand the cold adaptation mechanisms to understand and predict niche shifts due to global warming.